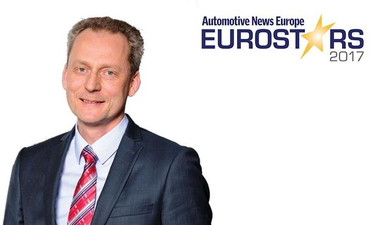 CAREER HIGHLIGHTS: Strube has held a variety of leadership positions in the Volkswagen Group. After managing the conceptual design of the previous-generation Polo, he helped design the current Golf. In September 2012, he took over as head of assembly development at VW brand. He was named Skoda's development chief in December 2015. REASON FOR WINNING: Symbolized by its Superb flagship sedan, Skoda churns out products that are both refined and affordable, helping it achieve returns on par with premium brands. After February's introduction of the Kodiaq, the carmaker's SUV offensive continues this year with the smaller Karoq. Strube is also overseeing the development of Skoda's five battery-electric cars, which will start to arrive in 2025.